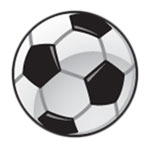 Outdoor soccer registration for 2019 will be available online on January 15 at the following site: www.emsasoccerportal.com If you have any questions, please contact the Soccer Director (soccer@yellowbirdcl.com). All cheques are to be made out to Yellowbird East Community League. You must have a current community league membership card in order to register for outdoor soccer. Memberships will be available at the registration payment session for Yellowbird East Community and Ermineskin Community members. Memberships may also be purchased at the Edmonton Federation of Community Leagues (www.efcl.org).